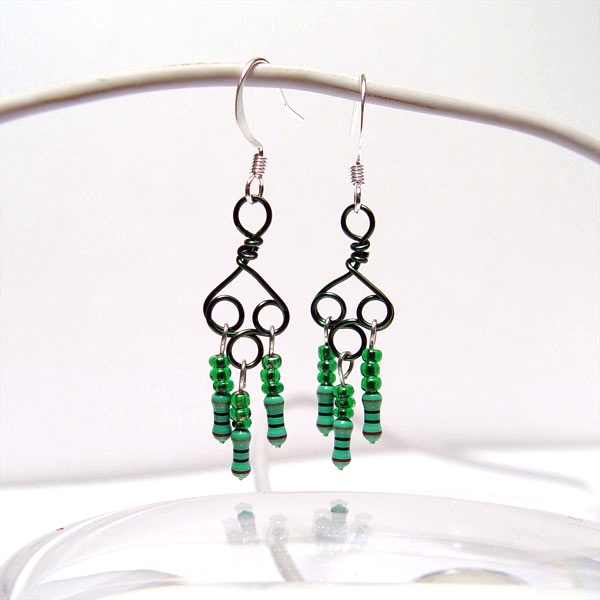 These are silver coated shepherds hook earrings, 1 1/4" long with real electronic resistors. This is a handmade wire knot work designs w/resistors hanging on the loops. Christmas Green seed beads finish off this design. The Resistors may contain a tiny amount of lead (harmless, just don't put them in your mouth) and the color bands (resistance value) may vary from pair to pair.